Consider this your friendly reminder to set the clocks back and get an extra hour of sleep (or bar time) this weekend. 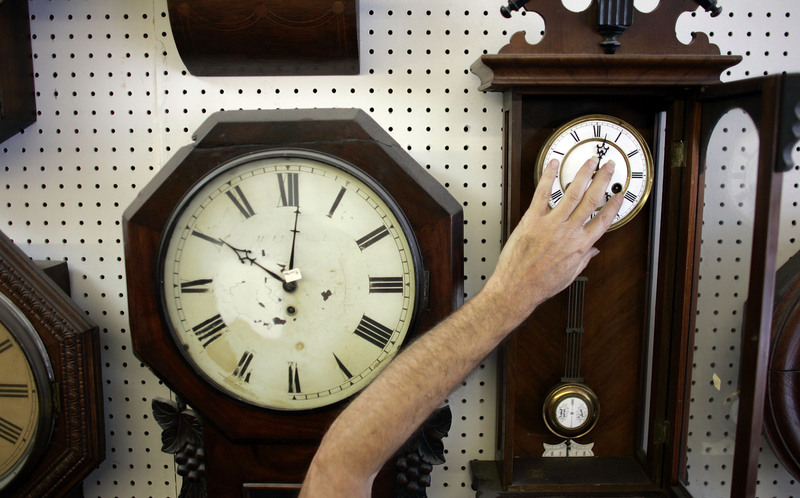 2 a.m. this Sunday, November 3, marks the end of the controversial yearly phenomenon known as Daylight Saving Time. Sure, most people don't think of DST as controversial — twice a year you change the clocks (if you still, you know, use clocks rather than self-modifying iPhones) and quickly adjust to the aftermath. Who cares? But there's been a push to retire DST in the United States for as long as it's existed. Why? Read on for this and other surprising or little-known facts about the time change. 1. In America, DST was officially instituted in the 1960s as an energy-conserving measure. By transferring an hour's worth of daylight from the early a.m. to the evening hours, people hoped to cut down on electricity usage. But there's little evidence that the change actually works to reduce energy expenditure. Because of this — and its potential negative health consequences — many experts think it's time too move on from DST. 2. DST expanded in 2007. In the United States, the Energy Policy Act of 2005 extended DST by three weeks in the spring and one week in the fall. The hope was that the extension would further curb electricity expenditure. The shift officially went into effect six years ago, in spring 2007. Since then, DST has begun on the second Sunday in March and ended the first Sunday in November. 3. That wasn't the first time the U.S. shifted course on DST. After World War I, several European countries begun adopting a DST scheme. The U.S. wanted in, and formally adopted it in 1918. But it was so unpopular that by 1919 it was discontinued on a national scale (though some cities and states opted to keep it). During World War II, DST was known as "war time" and reinstated on a national level — then once again done away with in 1945. From 1945 to 1966, there was no official federal policy on DST. 4. More countries eschew DST than observe it. Most of Europe observes daylight savings time, as does most of North America (the exceptions are Saskatchewan in Canada, Sonora in Mexico and Arizona and Hawaii in the United States). But little of the rest of the world does. In Africa, only four countries practice DST; in South America, only four to five countries; only portions of Australia observe it; and only eight Asian countries (all in the Middle East) do. 5. It can mess with the body's internal clock. A 2007 study found that people's internal body clocks never really adjust to Daylight Saving Time. Our chronobiologic rhythms evolved to react to natural changes in sunlight throughout the year, and far be it from DST to mess with that. "When you change the clocks to Daylight Saving Time, you don't change anything related to sun time," said German chronobiologist Till Roenneberg at the time. “We forget that there is a biological clock that is as old as living organisms, a clock that cannot be fooled.” The good news is that now that DST is over, we can all get back in tune with our natural jam. 6. It's been linked to heart attacks and suicide. A study published in 2008 in Sleep and Biological Rhythms found men were more likely to commit suicide during the first few weeks of DST than any other time of year. Another study published the same year found that serious heart attacks also jump as DST begins, going up 6 to 10 percent in the first three workdays following its start in the spring. Scientists have speculated that these are due to the effects of body-clock disruption, though why that is is unclear.